BETHLEHEM – Following the finished work of the Catholic Scouts Centre project (John the Baptist Scout) in Bethlehem end of March 2015, the enhancement of its external facilities will be completed end of April 2016. After three months of construction work to facilitate access to the Catholic Scouts Centre, which is located in Area C and expected to be finished by the end of the current month, the project includes an asphalt road, 4 meters in width by 280 meters in length, with 6 street lightning poles. Moreover, it comprises outdoor spaces that will be used as camping sites and parking areas. Another addition to the project is an external theatre that will seat 250 people and special areas equipped with sun shades to block the intensity of the sun during hot weather. The project wouldn’t have been possible without the support of the Italian government through its work with the United Nations Development Programme (UNDP). Within the scope of its Judaization policy, Israel has changed the names of several cities and places, including the Arabic name it uses to refer to Jerusalem. Shortly after Israel occupied the West Bank in 1967 it faced a problem in how to refer to Jerusalem in Arabic. Not wanting to use the Arabic name al-Quds, the Israelis came up with a compromise by inserting the biblical Jewish name Urashalim. Listeners to Israel’s radio broadcasts in Arabic, for instance, were informed before and after every news bulletin that the station was reporting from Urashalim al-Quds. Combining the Jewish and the Arabic term reflected what then was the prevalent Israeli attitude of treating the holy city as a crucible of religions. Israel’s mayor of Jerusalem at the time, Teddy Kollek, regularly referred to the mosaic of the city in reference to its diversity and pluralistic nature, residents and religions. “We are commanded to recount the Exodus from Egypt.” “The more you recount the Exodus, the better.” “In every generation, every person must see himself as if he came out of Egypt.” So does Jewish tradition tell us. Historians and archaeologists may well continue to argue for many more years about whether there is any historical basis to the story which appears in the Biblical Book of Exodus. But whether or not it reflects any actual historical events which took place in the land of Egypt more than three thousand years ago, there can no doubt that this story had a profound effect on how Jews perceived themselves throughout the ages. Also this year Jews everywhere were recounting the Exodus – even if many of them only recited traditional texts and did not devote much reflection to its meaning. It was not only the Jews who were influenced by the story of the Exodus. Christianity took it up in whole, as part of the Old Testament, and as such took care to have it translated into all languages ​​and spread throughout the world. Also Islam took up the story of the Exodus and included its own version in the Qur’an. The story of the slaves who chafed under oppression and of the great liberator named Moses has become part of the common heritage of humanity, a source of inspiration and hope to all who suffer from oppression and dream of liberation. A few minutes later I had a visitor: General Rehavam Ze’evi, known by his nickname Gandhi, an extreme rightist, came to see me. The hospital staff were flabbergasted. PALESTINE – April 2016. While the bulldozers are busy in the Cremisan Valley and Beir Onah uprooting ancient olive trees to position the concrete sections of the separation wall, there was the opportunity to have on-site meetings with the Parish Priest of Beit Jala, Father Aktham Hijazin, and Issa al-Shatleh, a Christian landowner, to discuss the confiscation of his lands. The Cremisan case was somewhat of an unforeseen development. This beautiful valley of olive trees, located between Bethlehem and Jerusalem, belonging to the municipality of Beit Jala, mainly inhabited by Christians, suffered a first round of land confiscations after 1967 for the construction of the settlement of Gilo. Since then, the town Beit Jala has diminished alarmingly. 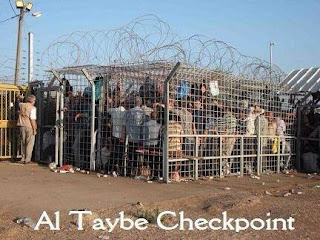 Israeli construction has multiplied in this region that is still classified “Area C” by the Oslo Accords, that is to say intended to “be gradually transferred to Palestinian jurisdiction.” The Palestinians are still waiting. Media Office of the Latin Patriarchate of Jerusalem) USA – On April 19, 2016, The Atlanta Summit of Churches in the USA and the Holy Land was held at the Carter Center in Atlanta. The conference, entitled “Pursuing Peace and Strengthening Presence” was coordinated by the Higher Committee of Churches’ Affairs in Palestine. The conference dealt with many issues pertaining to the plight of the Palestinian people, the daily hassles that they face passing through Israeli checkpoints and preventing them from accessing holy sites. In a speech by His Beatitude Fouad Twal, Latin Patriarch of Jerusalem, he said: “in light of the continuing tragedy and injustice being perpetrated against the Palestinians, don’t allow the continuing failure of the US government to find a solution but instead you should become stronger advocates”. He added “One of our major challenges is standing alongside all those trying to find a solution to issues that spark violence, conflict and war, like building of new settlements. Therefore Church leaders must have the courage to speak up for justice and freedom, for Jews and Arabs alike.” At the same time the Patriarch emphasized that reaching this aim requires using means that are coherent with the Christian identity. St. Ives Society, April 14, 2016 – The Catholic Center for Human Rights of the Latin Patriarchate of Jerusalem concluded with a press conference the social campaign undertaken in favor of the rights of disabled persons. The meeting was an opportunity to announce the results of the operation. Since September 2014, the Pastoral Care of Migrants ministry and the Saint James Vicariate have worked together to enable three-year-old-and-under children of refugees and asylum seekers to be appropriately cared for while their parents are at work. Although the State of Israel welcomes children of refugees to government schools, there is no government structure designed to accommodate children under three. This lack of infrastructure has led to the proliferation of primitive nurseries, where dozens of refugee and asylum seekers’ children are gathered into crowded apartments with dire sanitary conditions, while their parents go to work to provide for their family. In 2015, five children died in these barbaric nurseries, also called “baby warehouses”, victims of the very precarious conditions in which they are kept. The Pastoral Care of Migrants ministry wished to find a partial solution to this problem. In Jerusalem, a nursery on a classic model welcomes 22 children daily. In Tel Aviv, the scale of demand has led Father David Neuhaus and his team to set up another host system for these young children. In collaboration with UNITAF, an NGO that develops small children home units, the Our Lady Woman of Valor Pastoral Center has adapted the idea of Aliza Olmert to allow these children to be welcomed in a pleasant, suitable and secure setting. Refugee children at the Sharia Al Haman Hope Refugee Camp in Duhok, Iraq on March 28, 2015. Credit: Daniel Ibanez/CNA. (CNA/EWTN News) Erbil, Iraq, Apr 21, 2016 / 12:36 am – A delegation of bishops and priests from France are visiting Iraq April 17-21 to aid young Christian school children living in the refugee camps. 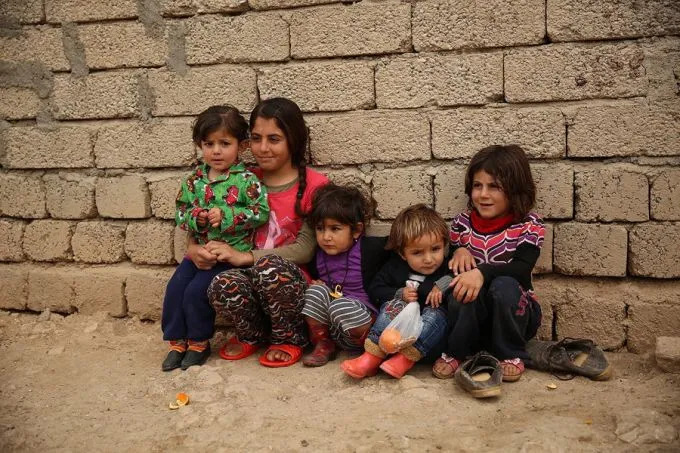 These young pupils are part of the group of 120,000 Christians that fled from the cities of the Nineveh Plain when the Islamic State attacked the region in 2014.